Shears create a horizontal cutting action, relieving wrist fatigue, and are great for avoiding or reducing carpel tunnel problems. 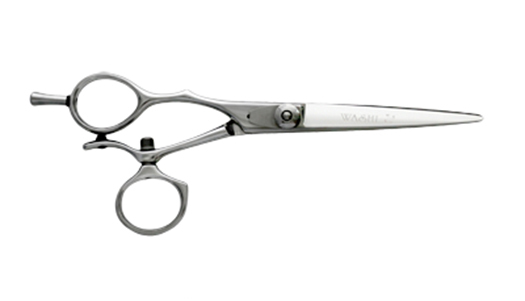 Lefty LINS-60 Shears: Left handed shear with the 360° rotating thumb ring. Experience a natural cutting position. The rotating thumb creates a horizontal cutting action, relieving wrist fatigue. Great for avoiding or reducing carpel tunnel problems. Lowers the elbow and shoulder position and allows a flat wrist position.